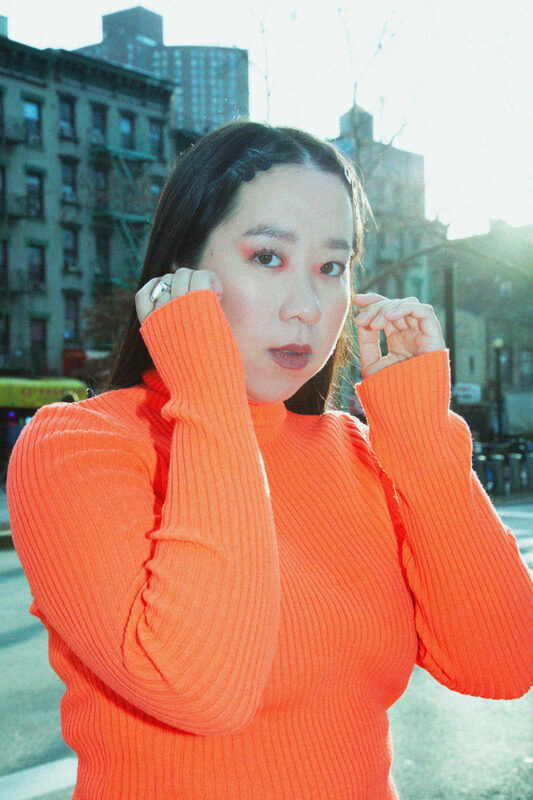 NYC-based creative Vivian Loh has garnered a loyal following for her self-styled and shot Instagram feed. Alongside her striking and idiosyncratic self-portraits, Loh creates images of her friends and surroundings, as well as brand content, having worked with names including Milk Makeup, Chromat, Poppy Lissiman and Refinery29, among others. Back in 2016, she founded streetwear label LOWLOW NYC, for which she designs, styles, photographs and curates. Something Curated spoke with the versatile artist to learn more. Something Curated: How did you enter this field? Vivian Loh: I began exploring photography when I was 13 years old. Then I discovered fashion magazines like i-D, Bullett (RIP! ), and Oyster, during my junior year of high school. That’s when things really started to fall into place. SC: How did your time at MICA help shape you? VL: Attending MICA (or the Maryland Institute College of Art) was one of the best and worst times of my life. I passionately studied photography, illustration, and graphic design, but also struggled with my father’s terminal illness, and later on, my first heartbreak. My creative style went through so many different phases. Work shown six months apart looked like they belonged to two different people. I worked hard, and became the model student I never was in high school. I loved my professors who assigned the most interesting homework and provided the most thoughtful feedback. I graduated in 2015 feeling nurtured, challenged, and independent. SC: What has been the greatest challenge so far being a young artist? VL: Getting paid! I’ve gone through my share of unpaid internships and freelance jobs that didn’t pay me enough or on time. SC: How has Instagram served as a platform for your work? VL: Over the years, Instagram has been slowly cultivating my self-confidence. Besides an old blog that no one ever read, Instagram was where I began to share more about my life, my personality, and my outfits. These days it feels like my personal style precedes my other creative work. SC: Are there particular ideas or social issues that you aim to address through your images? VL: My work is rooted in the liberation of my own self and redefining the conventional meaning of “beauty”. I make images I want to see in the world, and I hope my tiny existence on the Internet can demonstrate that beauty lies in individuality. I’ve spent over 10 years not appreciating my body. Three years ago, I never would’ve guessed that I’d now be putting myself in front of the camera. When I photograph myself and other people, it is my goal to make sure everyone looks and feels their best. SC: What are your favourite things to photograph? VL: It has been and always will be other people. SC: What has it been like to collaborate with brands such as Milk Makeup and Poppy Lissiman? VL: Collaborating with brands and designers I admire simply reaffirms myself and the path I’ve chosen in life. I feel really lucky! SC: Are there any people that have particularly impacted your career thus far? VL: I really want to thank all my friends that I begged to model for me during middle school and high school. With every wild outfit and experimental makeup session, you were my gateway to what I do now as a profession. I also want to acknowledge Yeha Leung as one of my greatest workaholic inspirations, Alejandro Lafontant for sharing his extensive art and fashion knowledge with me, John Yuyi for reminding me that creating art should always be fun, Peter Chang for giving me the best design feedback for my brand, and last but not least, my mother for being my number one supporter in all that I do. SC: How did your clothing collection, LOWLOW NYC, come about? VL: LOWLOW NYC is my biggest dream realized, and nothing short of a chance of a lifetime. I always knew I wanted to create a streetwear label, but the opportunity came to me most unexpectedly. In 2016, I was connected to a digital printing studio in Beijing through my previous employer (I used to be an art teacher), had a crash course in business management that mainly consisted of learning on the job, and experienced first-hand China’s influence on fashion. A year later, the China team and I parted ways amicably. In that time, I’d come to know the ins and outs of running a fashion business simply through trial and error, and consider all my moments where I’ve cried, a success. At 23 years old, I was named LOWLOW NYC’s CEO and founder, but I’m also the brand’s photographer, graphic designer, production manager, marketing director, and customer service representative. It’s very much a one-woman show at the moment. 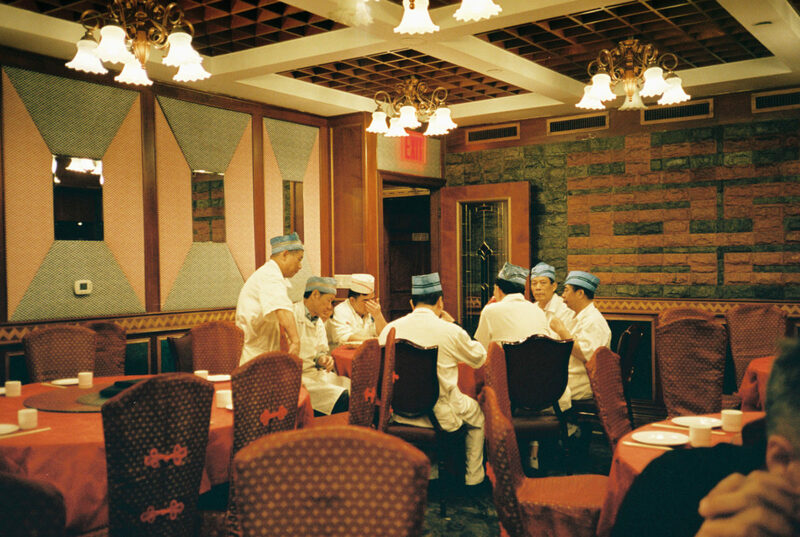 If you live in New York City, you can find my brand in ANTHOM in Soho, and Chop Suey Club in Chinatown, too. SC: How does NYC inspire you? VL: I think New York City is the most stylish city in the world. There is really no better place for people-watching, and the best style comes in forms you’d never expect. 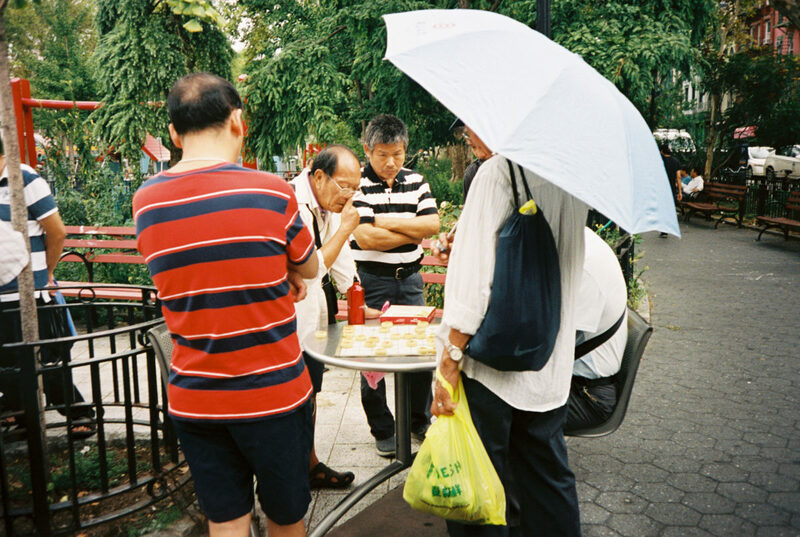 For instance, I love seeing what the Chinese grandmas and grandpas are wearing in Chinatown. Walking throughout the city is also another opportunity for me to location-scout for my next shoot. VL: Recently, I’ve taken up film photography again as a way to be more present in the moment. Having a little point-and-shoot camera on hand at all times has made me start to see the wonderful little things in life that I wouldn’t have necessarily noticed without it. VL: LOWLOW NYC Lucky Hoodie and Lucky Sweatpants. SC: What is your favourite restaurant in NYC? VL: I’m so gutted, because my favourite pho place seems to have shut down for good. I love Scarr’s Pizza in the Lower East Side though! VL: Pachinko by Min Jin Lee.